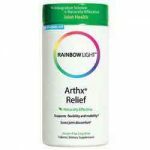 ArthX® Relief Review – Is This Product Safe To Use? ArthX® Relief has been touted as a fast acting therapeutic supplement that is made to promote healthy joints. The manufacturers claim that this product is made from botanical ingredients that are effective in soothing and supporting a healthy inflammation support system. ArthX® Relief is touted as a triple approach formula designed to effectively deliver nutrients to the joints providing one of the most comprehensive formula in the industry for any ones seeking to have healthy cartilage, connective tissue and joints in general. It achieves this by promoting joint lubrication, restoration and nourishing. The product is available over the counter without a prescription for an average of $25.75 depending on the specific store you buy. The price varies further with the shipping method chosen and the discount being offered. It is worth noting that this is for one month supply of the product. What is ArthX® Relief and Company Behind ArthX® Relief? ArthX is a natural therapeutic relief formula that is designed to be used in joint support. The product claims to use modern science to provide a working blend of the same ingredients that have been used in ancient medicine. ArthX® Relief has been described as a breakthrough product with three powerful ways to provide joint care. The product is touted to work within the first 4-8 weeks although some users have reported a different time interval. This product is a registered trademark of Rainbow Light. This is a California Based company that specializes in the production of healthy nutrients, vitamins and supplements that support various health benefits. The official website claims that this company has been in the job since the 1980s. We can confirm that the company has been operational for a period close to this and has had several milestone products since then. Chondroitin Sulfate – Chondroitin is another powerful joint care ingredient that is highly ranked. It is used in this product to offer joint lubrication by drawing fluids into the joints and lubricating them in the process. MSM (Methylsulfonylmethane) – MSM is our bodies’ natural source of sulphur. MSM is a strong anti-oxidant agent besides supplying sulphur to the body. Sulphur on the other hand is responsible for creating strong connective tissue from keratin. ArthX® Relief is designed to help the body position itself at a better place to protect the joints from agents of inflammation and wear and tear. ArthX® Relief is equipped with more than enough power to get this job done. For a start, it contains glucosamine. Glucosamine is harvested from the skeleton of the shell fish and works to provide; anti-inflammation, joint repair and stimulation for the formation of chondrocytes. When you combine Glucosamine with Chondroitin, you get the perfect building block of Hyaluronic acid a very active ingredient of synovial fluid. In a nutshell, this product is designed as a long term care product that takes 4-8 weeks to show the healing benefits. Rainbow light recommends two tablets daily taken with meals or water. You can take it as a single serving or separate it to two separate servings. Is ArthX® Relief a Scam? ArthX® Relief is not a scam. This product was arrived at after numerous research was conducted on the ingredients. The producers have also invested in clinical trials and studies to ascertain efficiency and safety. ArthX® Relief is without doubt a top product. It has some of the best ingredients in the market and a producer who doesn’t shy away from conducting research. All the same, they have done little to make the official website consumer friendly. It lacks in information and this is quite discouraging especially for people who are taking other medications that may react with ArthX® Relief.